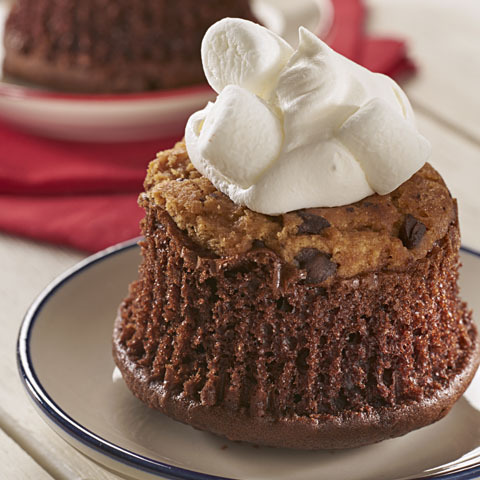 Place 1 cookie, top side down, in each of 24 paper-lined muffin cups. Prepare cake batter as directed on package; spoon over cookies. Bake 18 to 21 min. or until toothpick inserted in centers comes out clean. Cool in pans 10 min. Remove from pans to wire racks; cool completely. Remove paper liners from cupcakes. 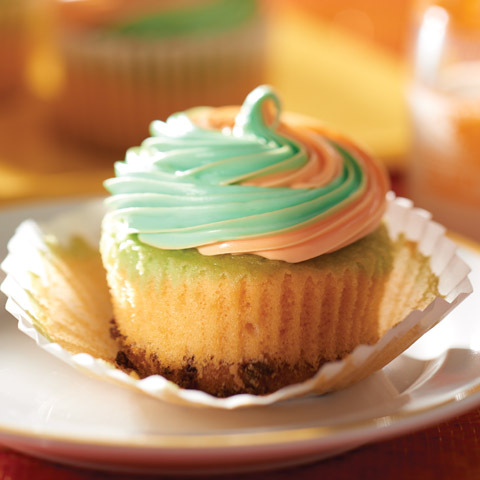 Place cupcakes, upside down, on serving plates; top with whipped topping and marshmallows just before serving. SubstituteSubstitute 2 Tbsp. red, white and blue multi-colored sprinkles for the marshmallows. VariationOmit marshmallows. After removing cooled cupcakes from paper liners, cut them horizontally in half. Spread 2 Tbsp. marshmallow creme onto bottom half of each cupcake; cover with top of cupcake. 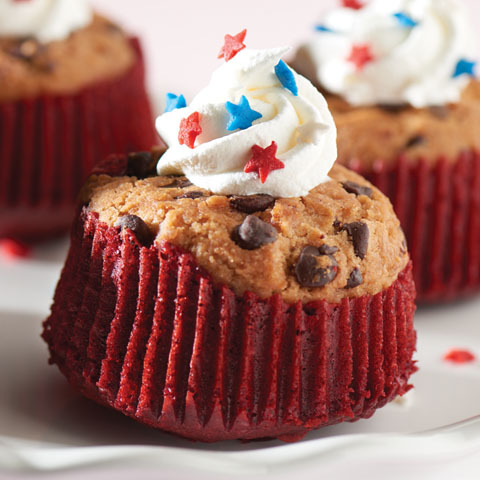 Fun IdeaInsert a small paper American flag (on toothpick) into top of each decorated cupcake.